He lives and works in Chania, Greece. He graduated from the Department of Photography, Technological Educational Institute (T.E.I.) of Athens, in 1992. 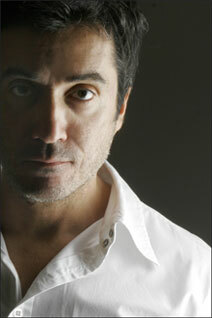 Since the middle of the 80s he has worked in the field of advertising photography. From 2001 to 2005, he was working as a Laboratorial Collaborator at the Department of Photography, T.E.I. of Athens. With a state scholarship, he made postgraduate studies, in Great Britain, in 2005. Since the end of the 80s, he has participated in exhibitions and photo-festivals in Greece and abroad (Kodak European Awards, Arles, 1991, Biennials of Young Mediterranean Artists, in Marseille and Cordoba, Athens International Month of Photography etc). His photographs are in the collection of the Thessaloniki Museum of Photography.